Calgary-based TransCanada says it plans to start construction next year on the Keystone XL oil pipeline, after a U.S. State Department review ordered by a federal judge concluded that major environmental damage from a leak is unlikely. 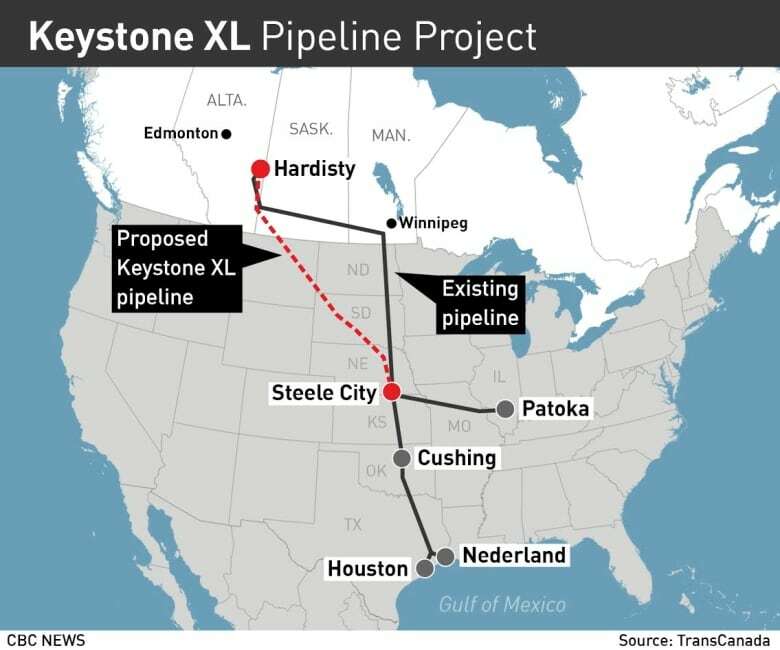 The Calgary-based developer of the Keystone XL oil pipeline plans to start construction next year, after a U.S. State Department review ordered by a federal judge concluded that major environmental damage from a leak is unlikely and could quickly be mitigated, a company spokesman said Monday. TransCanada spokesman Matthew John said the company remains committed to moving ahead with the project following years of reviews from federal and state regulators. 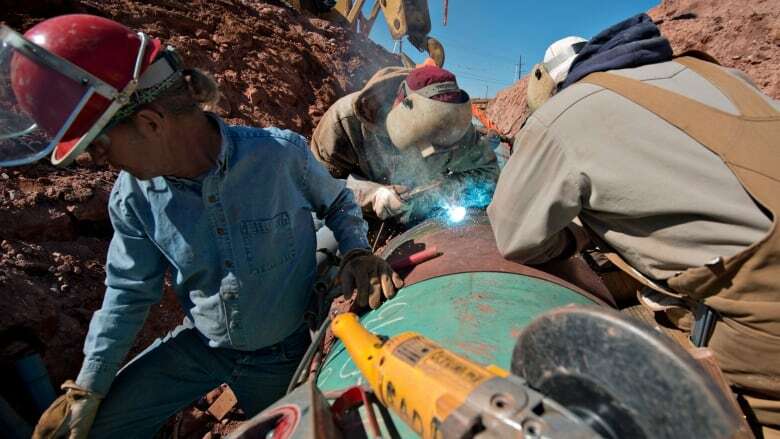 The company has already started preparing pipe yards, transporting pipe and mowing parts of the project's right-of-way in Montana and South Dakota, but TransCanada said in court documents it doesn't plan start construction in Nebraska in the first half of 2019. The report issued Friday from the Trump administration's State Department drew criticism from environmental groups, who say they'll continue to fight the project they view as an environmental threat. "The Trump administration sees no problem with building the Keystone XL — in other news, the grass is still green and the sky is still blue," said Kelly Martin, a campaign director for the Sierra Club. The updated, 338-page report was released a little more than a month after a federal judge in Montana ordered the U.S. State Department to conduct a more thorough review of the pipeline's proposed pathway after Nebraska state regulators changed the route. The original environmental impact study was issued in 2014, before Nebraska regulators approved a longer "mainline alternative" route that veered away from the company's preferred pathway. President Donald Trump approved a federal permit for the project in March 2017, reversing former President Barack Obama's decision to reject it amid concerns over greenhouse admissions. The report said the $8 billion, 1,184-mile pipeline would have a "negligible to moderate" environmental impact under its normal operations, and continuous monitoring and automatic shut-off valves would help company officials quickly identify a leak or rupture. Additionally, the report said TransCanada has a response plan in place that should mitigate the effects if it's implemented quickly. "Prompt cleanup response would likely be capable of remediating the contaminated soil before the hazardous release reaches groundwater depth," the report said. Environmentalists, Native American tribes and a coalition of landowners have prevented the company from moving ahead with construction. In addition to the federal lawsuit in Montana that seeks to halt the project, opponents have a pending lawsuit before the Nebraska Supreme Court. Oral arguments in the Nebraska case aren't expected until next month. In Nebraska, a major battleground for the project, opponents are trying to change the makeup of the Nebraska Public Service Commission in hopes of overturning its previous decision to approve an in-state route for the pipeline. The latest State Department report is a draft that must still face public review and comments, but federal officials say they expect to have the final draft ready by December. In court documents from the Montana lawsuit, TransCanada's attorneys said they believe all the pending lawsuits will be resolved before construction begins. The State Department has noted that TransCanada has a lower overall spill rate than average in the pipeline industry.